JAN: I am pleased to be able to interview another of my fellow Canadian authors today. Sandra Orchard, welcome to my blog. SANDRA: I started writing my first novel in the autumn of 2006. I’d been contemplating the idea for a while, then my husband, in desperation over the books piling up around our bedroom, suggested I write my own and so my journey began. SANDRA: I enjoy writing both mysteries and romantic suspense. SANDRA: I write on my laptop sitting in a gravity chair. I actually prefer to write longhand and used to when my daughter was still at home and would type out the pages for me. I’m a plotter, although I have “pantsed” the ending of several novels, when the villain didn’t turn out to be who I’d planned. JAN: That’s fascinating. Where do you get your ideas? What inspires you? SANDRA: Ideas come to me from anywhere and everywhere—while reading articles, watching the news or a movie, during conversations, while driving, hiking, kayaking and more or less minding my own business. I might see a detour sign and imagine what my heroine would face at the other end. My Serena Jones Mysteries were initially inspired by an article about a Montreal art crime detective. JAN: I’ve often wondered where that unique idea came from. How do you research and how do you know you can trust your sources? SANDRA: I do extensive research. Over the years I have connected with trusted advisors in law enforcement, the fire department, the medical fields, the FBI and in occupations pertinent to the characters I am creating. For my Serena Jones Mysteries, I traveled to St. Louis to explore the city where Serena lives and to visit the FBI headquarters where she works and to interview her “colleagues.” I explored numerous art museums, read countless books on art crime, authored by the founder of the FBI’s art crime team, and top art crime detectives in the UK, NYC and California, and even a couple written by art thieves. I like to have a strong sense of the motivation driving both my heroes and my villains after all. JAN: That sounds like a lot of work; it makes the story more credible when I know you’ve done your research well. So tell me, what do you like most / least about writing? SANDRA: I love brainstorming new stories, especially with fellow writers and specialists. And I love the research, which inevitably spawns lots of potential directions and rabbit trails for the plot to take. I even enjoy editing. It’s a wonderful feeling to know the story is done and to be able to polish it until it really shines. My least favourite part, ironically, is the actual writing. It didn’t used to be that way. It is a side effect of having to write to deadlines and be creative and productive on a schedule. JAN: Yes, creativity and deadlines are sometimes at odds. What are your favorite / most effective social media? SANDRA: I love interacting with readers on Facebook. I don’t really participate in other venues. I have a presence on Pinterest and Goodreads, but I don’t hang out there. JAN: It obviously takes a lot of time to research, write and market. How do you balance professional time with personal time? SANDRA: Much better than I used to. I used to write and/or work at marketing as much as twelve hours a day. After my young grandson’s near fatal accident in 2016, I took five months off to be with him and the family in the hospital through his recovery. Since then I’ve been writing cozy mysteries for Annie’s Attic, which are only available through mail or e-book subscription, so no marketing is required on my part. This gives me much more time to spend with my young grandchildren. JAN: Life has a way of highlighting priorities, doesn’t it? I didn’t know about Annie’s Attic. Must go there. What are you currently reading? Do you prefer digital or print? SANDRA: I am currently reading a Mary Conneally historical romance novel. It’s been a long time since I’ve read a historical. It’s a nice change of pace. I prefer to read on my old kindle that reads like paper (not backlit), because I can enlarge the print and comfortably read for hours. SANDRA: The encouragement of my loyal readers to keep writing. JAN: Lovely and inspirational. What is your ultimate writing goal? SANDRA: To write stories that both entertain and inspire. I am continually amazed at the smallest thing in a story that might speak to a particular reader. Recently, it was the fact one of my older secondary characters felt comfortable enough in her own skin that she didn’t feel the need to dye her hair. It made a reader decide that she didn’t need to either. JAN: That’s cool. Do you have any advice for beginning writers? SANDRA: Don’t be in a hurry to publish. Enjoy the journey. JAN: Thanks so much, Sandra, for taking the time to share your journey with us. I wish you God’s rich blessings as you continue on your way. Dee: In 1962, I travelled with my young son to Venezuela to visit my parents who lived there, only to arrive in Caracas in the middle of a revolution. We were first held in detention, and then shipped out of the country to a small Dutch-owned island. It was all very traumatic. I wrote the story, and The Calgary Herald bought it for twenty dollars—a lot of money for me at the time. When my second husband and I settled onto an isolated Native reserve on B.C.’s north coast I started writing regularly for several well-known west-coast monthly magazines. I continued to write for those magazines until we moved to Saskatchewan in 1995. Since then I have written and published three adult books and a trilogy of children’s books. Dee: Both of my husbands were very supportive of my writing efforts. In fact, my first husband had to copy out all my early writings on an old Underwood typewriter. I was totally inept at typing! My second husband had the advantage of having a more user-friendly typewriter to help me out. It wasn’t until I got my first computer in 1995 that I did my own typing. Janice: What is your preferred genre? Dee: Whether as adventure articles or as memoir, my work has been almost exclusively non-fiction. I tried my hand at a tiny three-volume set of books for children, but since they were about my pets, to me they too were non-fiction. My favorite genre though, is the essay, and it is, I think, in creating essays that I do my best writing. Dee: I suppose it’s a compulsion to put thoughts, ideas, and dreams down on paper. Now, in retirement, I am almost constantly jotting down the whirlings of my brain. At first, they often seem wondrously prescient, but over time, they do seem less so. Dee: I write at my table in my little “office/computer” room where I can sit and watch hundreds of feeding birds, and be still and peaceful. I jot down random thoughts and ideas that sometimes get developed—or not. I guess you would say I am a pantser – writing about what moves me or obsesses me at that moment. Dee: My ideas, my inspirations come from my reactions to what I read, what I hear and what I see. A good TED talk can have me madly jotting in reaction to the message—positively or negatively. A well-done documentary film can provide hours of scribbled response. Mostly the notes will go nowhere nor serve any further purpose, but somehow I find pleasure just in recording them. Dee: In spite of the frequent questioning of the information provided to us by Google, it is likely no less trustworthy than all the information that our traditional sources have provided us with over the hundreds of years. Everyday a new revelation comes out telling how we have been misled. Janice: Good point! What do you like most/least about writing. Dee: I honestly can’t think of what I like least about writing. I just like writing. I thoroughly enjoy editing others’ writing; the challenge of composing messages, reflections or homilies for my church. The focus provided by writing for the many courses and workshops I have attended over the last twenty years has also provided direction. But most of all, I love writing to tell a story, even if the story is only for myself. Janice: What are you favorite/most effective social media? Dee: I am not much of a “social media” user. I find most postings on social media at least as ill-informed as I am myself. I do not need collaboration of my own misconceptions. Janice: Okay then, moving on (smiles)…How do you balance professional time with personal time? Dee: Since retirement, I am free to do whatever I want. However, without deadlines, commitments, or career obligations, I too often find that “nothing” is what I end up doing. I believe most people operate best under pressure and deadlines. However, from the perspective of eighty years, I think I’ve used most of my time wisely. I have accomplished much of what I would have planned to do, if I had been a planner. Janice: I like that. What are you currently reading? Dee: I have just finished reading a book called Rock Creek by Thelma Poirier. The author lived her whole life on ranches in the Rock Creek Valley, which now makes up part of the Grasslands National Park here in Saskatchewan. Since I have lived as a wandering gypsy most of my life, I have great admiration for those who have lived “in place” for generations, and have come to make the place a part of themselves. Janice: What are some of your favorite things? Dee: I truly love nature. But I also truly love people, places, travel: the silence of the high Arctic, the hectic liveliness of a tropical village, the ocean in a storm, the diminishing of person when standing on a high mountain, the terror of roaming through bear country, and the quiet aloneness of wandering the trails of Grasslands. 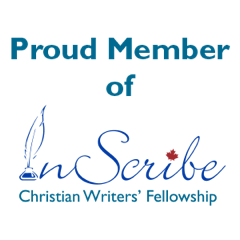 Janice: How is your faith reflected in your writing. Dee: My faith is inherent in all I see, in all I know and in all I do; it is an integral part of me. My faith is an essential part of all that I write. Janice: And finally, what advice do you have for a beginning writer? Dee: It will be the same advice that all writers give to potential writers: just do it! But we must also insist that beginning writers know the importance of re-writing. While taking courses at the local college with young students, I have been quite dismayed by the students’ inability or reluctance to work at improving their writing. They all seemed totally content with their initial production, in spite of, and often with total disregard for, what the instructor has told them. Janice: Thank you, Dee, for taking the time to visit with me today on my blog. You are and always will be an inspiration. JANICE: Good morning, Glynis. Thanks for appearing on my blog today. How long have you been writing and how did you come to it? GLYNIS: Yikes. True confessions. I have been writing all my life, but I will define a time frame of 31 years because that is when I took a 12-week freelance writing course that changed my life. With knees a-knocking I was encouraged to approach our local newspaper and to ask them if they might be interested in a little ‘slice of life’ editorial. They said yes. I was in. I ended up writing that column for 11 years and it was my springboard to much more. God nicely began opening doors for me. GLYNIS: I think the best influencers in my life, not counting some amazing writers of great books, has to be teachers who said things like, that story really spoke to me, or very good job on that assignment. There was one teacher in particular, Mrs. McLeod. When I first came to Canada, she took me under her wing, protected me from bullies and told me that I could do anything I wanted if I put my mind to it. She encouraged me to write and love literature. My mother, too, was a weaver of words and wrote poetry that both mesmerized and made me chuckle. JANICE: What’s your preferred genre? That said, I love writing short stories too, especially when it is sprinkled with a bit of humour and a lot of hope. I write because if I didn’t I would explode. And I would likely annoy people because I have so much to say and share and tell the world about and if I couldn’t do that by writing, it may come out in chatter! So I write because I love the way I get to express myself by stringing words together. There is just something extremely pleasing and satisfying about the rhythm of words that thrills me. I have a million stories bubbling inside me and I am excited to share and comfort and offer hope, encourage a soul, make someone laugh; not to mention, I am always amazed that people are interested in what I write. GLYNIS: I am actually a different breed – I call myself a ‘Planster!’I plan sometimes. I write by the seat of my pants other times. If I am writing a book for adults, particularly non-fiction, I do tend to plan a bit more. But most of the time, for short stories, particularly humour, I just write and let each word hold hands and tug me along. Children’s stories, I usually have an idea where I am going but it’s not often I plan that out in a storyboard or the like, unless it’s a lengthy chapter book. I write in my office – some in my family have dubbed it the ‘dungeon.’ But it’s quiet, cluttered (in an organized way) and positively inspiring. I have to have dead silence when I write, though, otherwise my brain, which lends itself to a little attention deficit, engages in even the slightest noise. I am in awe with people (like my daughter) who work with background music or while watching TV. GLYNIS: I was a private tutor for 18 plus years so much fodder came from my delightfully honest and playful, often care-free students who didn’t mince words. I am fascinated with people in general and sometimes I think I have a little insight into deeper feelings. I watch body language pretty closely and love cheering for the underdog. I can come up with plenty of ideas from a conversation or a sentence dropped. I love titles. Most of the time when I write (anything) I have to have a title first. I love taking notes when listening to sermons. Sometimes I am inspired to write or respond to something that was said and I have ideas popping up all over the place so my notebooks are littered with asterisks. GLYNIS: I admittedly do love how easy it is to search online, but that said, there is nothing like good old book research and even better – conversations with ‘those who were there’ if possible. GLYNIS: I just love the process of writing and how I get to pour words onto the page and see how most of the time, they make sense. I love the actual creation and then I don’t even mind the editing, although I wasn’t always like that. I used to not like when others messed with ‘my baby’ but I have been the recipient of some excellent editing that vastly improved my work and ultimately allowed ‘my baby’ to grow up and mature nicely. As far as what I don’t like – it has to be the marketing. I really dislike plugging my own work and promoting it. I would much sooner love on others and talk about their brilliant work! JANICE: I can see that from you! What are some of the best methods of promoting your work? GLYNIS: Oh and look at that! The next question is about promotions. I think having a faithful following is the best. Word of mouth means good sales. I sell a lot of books during speaking engagements and if I have referenced any of my books, that usually results in more sales. I have some good business people in my community who sell my books, and I have a little book boutique in a local grocery store, which actually does pretty good most months – especially at Christmas! Facebook, surprisingly, is a great place for me to get connected with people. I do sell quite a few books this way, too. JANICE: What are your favorite / most effective social media? GLYNIS: You might have guessed by now that Facebook is a great place for me. I moderate a private ‘Angel Hope’ group https://www.facebook.com/groups/1508424326062846/ with over 500 members – writers, readers, librarians, editors, bookstore owners and others. We engage in conversation every day and then in the evening I feature a Canadian (usually) published book, article, blogpost, artwork, poetry and more. I have learned so much from this group and our “Angels” as I call the members. It’s a great networking place for writers and others. Another social media that I like – although I should use it more, is Twitter. I am trying to get a little more active on there. I also have a Linked In profile and am on Pinterest, too. But I don’t do much with those (yet). I am also thinking about Instagram but for sure I will need my children or grandchildren to give me a tutorial or two! JANICE: I enjoy your Angel Hope group, Glynis. You have a lot going on. How do you balance professional time with personal time? GLYNIS: Personal time? What’s that? Because I have a home office and I also run a little publishing company, I am on the go constantly it seems. But I also care for my 90-year-old father 24/7 so I can’t spend my entire life in my office. My husband and I have made a deal that every morning before we do anything, we meet on the couch in the living-room and have a time of devotion, Bible reading, prayer and some good old one on one conversation. Then we have porridge. It is the best part of the day and a great way to focus before we jump into the craziness and the busyness of both our jobs. If our children need anything or want help or need an ear, we try to drop everything and be there. Weighing priorities gets easier as one gets older. GLYNIS: I have a lovely TBR (To Be Read) pile beside my bed and it never shrinks. I am a bedtime reader and love drifting off with a book. I am reading two books right now. One is called Princess Elizabeth. It’s a lovely old book written in 1930 and is all about the childhood of Queen Elizabeth II. I also am working my way through my latest Chicken Soup for the Soul book – Spirit of Canada. I have a story in that volume but am having fun reading everyone else’s stories, too, especially those written by authors I know! Love print books the best but I do have a Kindle for dashing days and waiting times at appointments. I also have my daily devotion on there. But definitely I prefer print books. JANICE: What are some of your favorite things? What makes you unique? GLYNIS: I love gardening and am always in awe at the tiny seeds that I plant and then we get to be nourished by such. I always give thanks to God for his wisdom in creation and how well he provides for us. I love family. I adore children – especially my grandchildren. I love animals – dogs, chickens and horses to be exact. I almost feel like I should be singing – raindrops on roses and whiskers on kittens…! What makes me unique? That is definitely a question you should ask my family. They gave me a drama queen sign. Enough said. JANICE: What keeps you going in your writing career? JANICE: Yes! I understand that! How is your faith reflected in your writing? GLYNIS: I sure hope the wholesome aspect of my work shines through even if I am not writing for the Christian market. I always try to remember, that when I write I am able to do so because of the passion God has put in my heart. Faith, fun and a wholesome read; these are the goals I want to strive for in my writing. No, not all my books have an obvious faith angle because I want some of my books in the mainstream market and sadly as soon as I mention Jesus, God or Christianity – I get tossed. But I strive to make all my writings for young and not so young God-honouring and filled with encouragement, joy, clean entertainment and a jolly good read. JANICE: What are some things you learned from your own writing? GLYNIS: I have learned I am not perfect. I have learned I don’t know everything. I have learned how important editing is. I have learned to have thick skin. I have learned that I need to learn something new every day. I have learned that to love what you do creates passion. I have learned how much I love to help others learn the craft of writing. GLYNIS: Well, we all would like to be on that best-seller list, but actually it doesn’t bother me to not be on there. Probably my biggest goal is to please God – as cliché as that may sound. I am no great theologian, so profundity and perfection in religious belief will never be part of what I pen. But I love to think I might have tapped into even a little of God’s heart in some of my writing. Also, I have about five or six half-done writing projects in my computer. I would one day like to see each of these to completion! JANICE: Advice for beginning writers? * Write from the heart and you will touch other hearts. * Cut it down by half and leave nothing out. Loosely translated – applied passion! JANICE: Thanks so much, Glynis, for taking time to visit with me today. Here’s more about Glynis and her writing. JANICE: Today I’m welcoming Sally Meadows to my blog. Sally is an award-winning author and singer/songwriter. Sally, how long have you been writing and how did you come to it? SALLY: Like many writers, I was drawn to creative writing when I was young. Beyond elementary and high school, writing continued to be an integral part of my work life. From research scientist to editor to children’s entertainer to educator to administrator, I have had the autonomy to incorporate creativity through the written word into a wide range of projects. However, it wasn’t until 2011 that I started getting serious about sending submissions to anthologies and writing contests. In 2013 I took a leap of faith and left my job at an engineering firm to focus full time on writing and music. SALLY: I had two high school teachers English teachers—Mr. Marland and Miss Kingsbury, both of whom I adored—praise my work and encourage me. I also received the Grade 13 English award. In my first year of university, I took an English course as an elective (I was a science major), and the professor told me that I produced some of the best writing he had ever seen by a first year student. These were all things that I tucked away in my heart and which eventually confirmed for me, that when the time was right, to pursue a career in writing. SALLY: I write in a wide range of genres, including short, inspirational true-life stories, informational articles, children’s books, and songs. I have also recently started writing fictional short stories. Part of who I am as a writer is being diverse. It would be hard to say which genre I like best, because I like them all! As the Lord leads, I challenge myself to expand into genres that are new to me. SALLY: Writing is the best way for me to communicate my thoughts and feelings. The flow of ideas from my mind/heart/soul through my hands is my most effective way to release heartache, make sense of difficult times, raise awareness about causes dear to my heart, share the gospel, and spread joy. It’s cliché but true: I write because I must. SALLY: I have a computer desk that sits in our family room with my official office close by. But I usually bring my computer up to my sunny kitchen with big windows. There is something about writing in close proximity to nature that both calms and energizes me. Although I mostly write on the computer, I occasionally hand write the first draft of an article or story. Regarding the second question, I am more of a plotter when it comes to writing short stories, articles, and children’s stories. I have a really, really good idea of what I want to write already in my mind before I sit down and write. Interestingly enough, when it comes to writing songs, I would say I’m more of a pantser. Usually, a melody line comes to me first. The majority of lyrics come only after I have worked out the entire score on the piano. SALLY: For the first couple of years, I focused mainly on writing autobiographical stories. I still get inspiration from my own journey, but now I tend to take only a snippet and build a fictional story from there. My kids have always inspired me. Nature inspires me. People who are on the “fringes” and have overcome odds inspire me. I wouldn’t be the writer and songwriter I am today without the profound influence of God’s own Word and the empowerment of the Holy Spirit. JANICE: You are well-versed on promotion. What are some of the best methods of promoting your work? SALLY: As long as I can flex my creative muscles when promoting, I am willing to try anything! 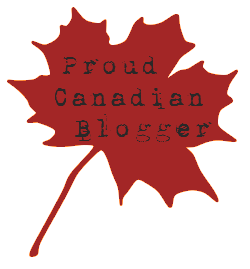 Earlier this year I collaborated with a number of other authors in launching the “7 Days of Great Canadian Giveaways” (for more information, see https://sallymeadows.com/blog/blog/day-one-7-days-of-great-canadian-giveaways). And when I released my new single “Holy Spirit” ((https://www.youtube.com/watch?v=xL2LxARc7Kg) I had a bestselling author/illustrator design a colouring sheet as a giveaway. Both these inspired events boosted my (and the other authors’) profile. I do post quite a bit on Facebook (less often on Twitter), and I use a lot of images, usually my own photography. I also do a lot of cross-promotions. For example, my children’s picture book Beneath That Star is based on a song I wrote on my Christmas CD Red & White. But my best sales are when I do a public event—a concert or speaking engagement. This year I want to explore doing more video/live Facebook events for promotions. It’s the way to go right now in getting yourself out there. SALLY: Facebook has been my go-to for promotions, although in retrospect it has been less effective on the sales end than I would have liked. Nonetheless, it has certainly raised my profile. This year I hope to explore using Pinterest more. I am very visual and I have created a lot of images. And as mentioned above, I would like to get more into video productions. SALLY: Working from my home and being an empty nester, this is always tricky. When I am focused on a project, I could easily work all day and all evening. However, I am also aware of the need for balance. I usually go for two walks each day, and do my best to keep off computer (as much as possible) in the evenings and on the weekends. SALLY: I still prefer print. Like my writing, there is no one genre that I am particularly drawn to, although I mostly read Christian authors. What I do read: suspense, historical romance, contemporary drama, humorous stories, short stories, non-fiction, children’s picture books, articles, and more. I recently read your (Jan’s) latest novel In A Foreign Land as well as Esther: Royal Beauty by Angela Hunt. I’m about to start Joel C. Rosenberg’s Without Warning and Jeff Goins’ Real Artists Don’t Starve. And my Bible is always close at hand. Right now I am reading through the Book of Judges. SALLY: I love to do paper crafting and try out all kinds of different techniques and products. In fact, I have been exploring writing a craft book—I have a great title already picked out. I also like miniature things; and have been growing (go figure!) a collection of realistic-looking stuffed animals. Photography is definitely a passion. What makes me unique is that my interests and abilities are so diverse; the most common comment to me is “What haven’t you done?” I am always on the lookout to try something new. Challenging myself beyond my box is something I constantly aspire to do. SALLY: As above: challenging myself. I am always stretching, always growing, and sometimes take on things that kind of terrify me. SALLY: I write for both the faith-based and mainstream markets. However, writing for the mainstream market is always informed by my faith. SALLY: I have learned that the learning never truly ends. I thought I was a good writer until I started writing full time. I still have LOTS to learn. JANICE: What is your ultimate writing goal? And any advice for beginning writers? SALLY: Like many writers, I have a lot of projects swirling around in my head, and I would love to see them all come to fruition one day. However, I am also being more prayerful about what project to focus on at any given time, and am open to discarding projects according to the leading of the Holy Spirit. I am ready and grateful for any doors the Lord opens. My advice (and ultimate goal) is to walk with one foot in front of the other each step of the way with eyes fixed on Jesus. He’ll get us to where you and I are to go. Sally Meadows is a six-time national/international award-winning author and singer/songwriter. She is the author of two children’s books, The Two Trees and Beneath That Star, and has released two CDs Turn the Page and Red & White. You can connect with Sally at https://sallymeadows.com, https://facebook.com/SallyMeadowsMusic, @SallyMeadows, and sally@sallymeadows.com.